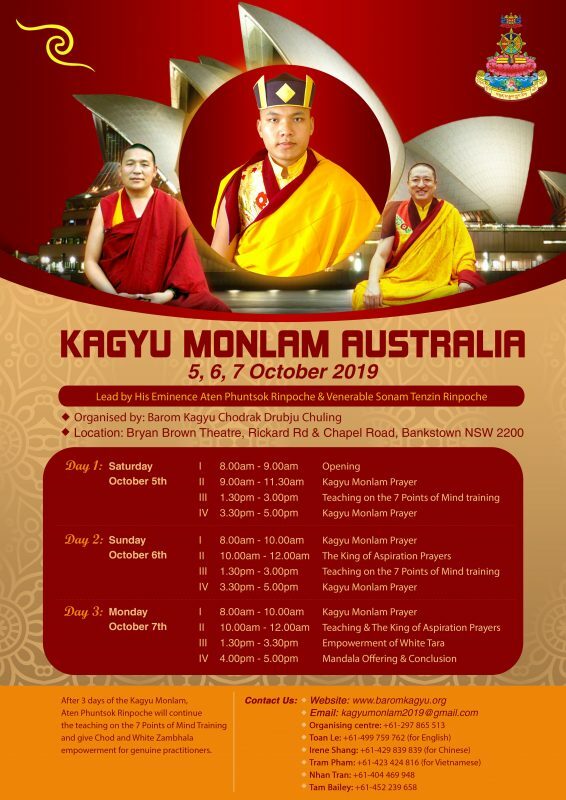 The dates and schedule for the Australian Kagyu Monlam, 2019, are now confirmed. We are pleased to present a schedule of prayers, teachings on mind training, and an empowerment of White Tara. 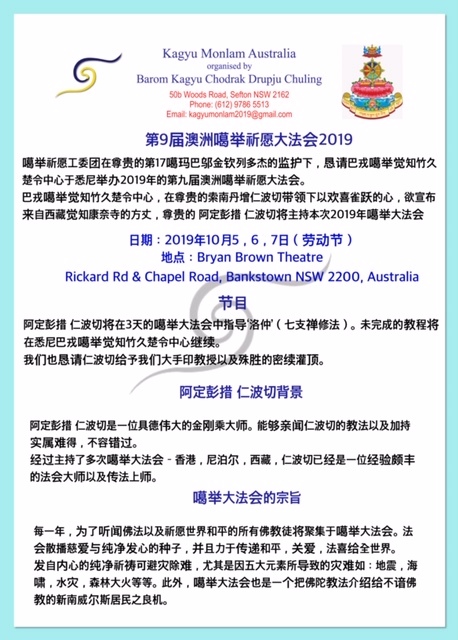 We look forward to many old and new students attending this special event to fulfill the wishes of the 17th Gyalwang Karmapa, Ogyen Trinley Dorje. 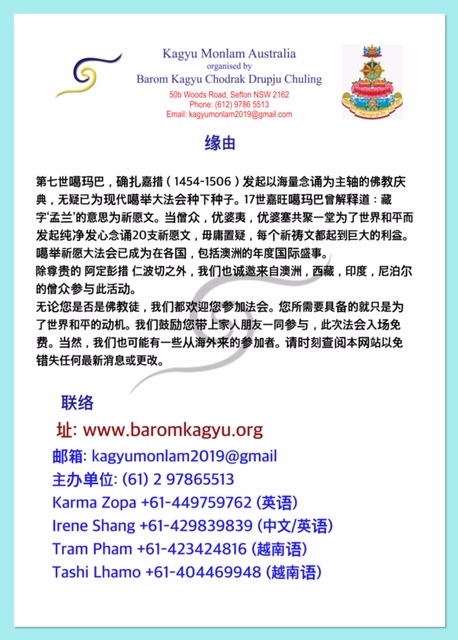 Please download this brochure and visit www.baromkagyu.org for any questions about this year’s event.